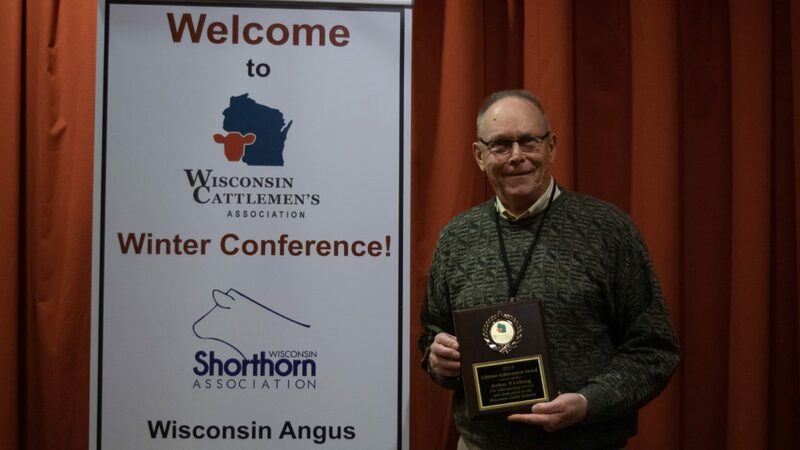 Long time executive director of the Wisconsin Beef Council, John Freitag, was recognized for this Lifetime of Service to the Wisconsin Beef Industry Friday night in Wisconsin Dells. Freitag, who retired from the WI Beef Council last summer, started his career on his family farm in Green County. 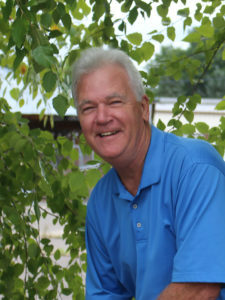 After several years in different areas of agribusiness he became the WBC’s executive director in 2001. John stressed how he enjoyed meeting people at conventions and trade shows. Sharing stories about beef production, export markets, farm to fork tours, and different programs farmers and ranchers were using was his passion. Freitag was instrumental in creating a connection between the dairy industry in Wisconsin and the beef quality assurance program. Keith York, WBC board member and a dairy farmer from Lake Geneva, became the first National Beef Quality Assurance recipient. John also helped to spearhead sponsorship in the Wisconsin Restaurant Show to help connect future chefs with the beef industry’s story. 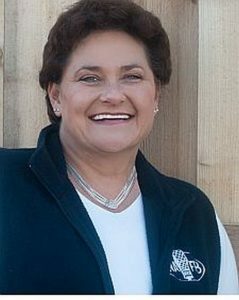 Many times Freitag went into classrooms, and engaged those students in farm tours to help educate them about beef practices and innovations they could use in their kitchens. John’s long term goal was to create a Wisconsin Branded product to help enhance value back to producers. He’s still working on it! He’s also been developing relationships with Wisconsin’s packers and the foreign markets. Over the past five years he’s spent time coordinating with the U.S. Meat Export Federation to create demand for Wisconsin beef in Central America and the Caribbean. In fact in 2019, some of the buyers from those markets are expected in Wisconsin for farm tours and face-to-face visits with processors here.